The most interesting event calendar around! 80s Arcade and Karaoke Nights Return! 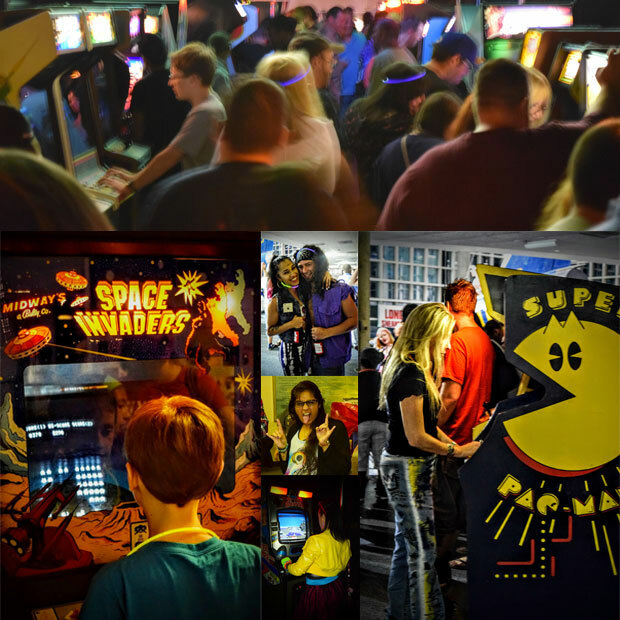 Relive the glory days of the 1980s while playing classic arcade games like Pac-Man and Donkey Kong and singing your hearts out to '80s karaoke music. No need to bring quarters as games are all set to free play, but please do bring the big hair, acid-washed jeans, shoulder pads, and Members Only jackets. And now we've added over 30 classic consoles from the 70s through the 90s so you can play all your retro favorites like Pong and games on the Atari 2600 all the way through to the Nintendo 64. - Retro Game Tournament - Tetris on the SNES! $5 Entry/Cash Prize! - $1 Raffles - win a classic Console (Console TBD) - Drawing the same night! $15 advance tickets, $20 at the door! Advanced ticketing has closed! Please Purchase Tickets at the door! The team from the LI Retro Gaming Expo will be running a Tetris tournament on the SNES with a $5 entry and cash prize. More details to follow! Come in your best 80s costume or cosplay. Contest winner receives 2 tickets to Cradle-Con (June 1-2, 2019, up to a $50 value), runner-up receives a mystery prize! Cradle-Con was founded in June 2018 to raise funds for the Cradle of Aviation Museum's education programs. Cradle-Con is a pure celebration of all things comic book culture. It is a new opportunity for readers to meet and greet their local comic book creators, for collectors on the hunt for those elusive rare books and toys, and for cosplayers to show off some of their best work. This is a spectacular new, more intimate experience for fans of all ages to gather, socialize, and be passionate about what they love. Visit http://www.cradlecon.com/ for more info.